For a long time I was resistant to audiobooks (I explain why in this post I wrote last year) but have found that audiobooks are the best way to keep me entertained when running. Listening to music during runs doesn’t work because I never find the “right” song to listen to and spend more time fiddling with iTunes than paying attention to the road. (Some paths at the park where I run are littered with acorns left by rogue squirrels, and stepping on one is a good way to roll your ankle.) Running with my own thoughts doesn’t work either because usually I find reasons to end my run early/quit. Lately I’ve been borrowing audiobooks from eLibraryNJ and listening to them through the Overdrive app (available on iOS and Android) on my iPhone. eBCCLS also works through the Overdrive app, and is very similar to eLibraryNJ. I use eLibraryNJ because there are more copies of certain titles available for cardholders that were purchased by the Hoboken Public Library. Both eLibraryNJ and eBCCLS can be accessed through the library’s website. As I like nonfiction and memoirs, I selected titles from those genres. Following are titles I’ve read (or listened to?) so far. Nora Ephron was a classic comedy writer and I chose to listen to this book because of the title, borrowed from the opening essay about the lengths mature women go through to look youthful. While Ephron’s sense of humor is smart and subtle, I couldn’t much relate to this book as I am not its intended audience. But Nora was a wise, brilliant woman, which I can appreciate. My favorite essay humorously accounted Ephron’s efforts to hone her cooking style by following various celebrity chefs, such as Martha Stewart and Nigella Lawson, before developing her own technique. I found Chelsea Handler’s book outrageous. Some of the complex and even sophisticated pranks Handler pulled are stunning. This book definitely made me laugh out loud. (My apologies to anyone at the running track who was startled by my inappropriate laughter.) 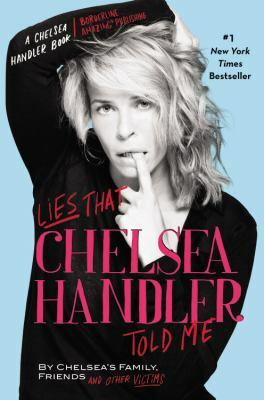 Each of Handler’s victims, or her friends and family, has a chapter in which to tell their story of Chelsea’s lies. My favorite story was told from the perspective of Handler’s dog, Chunk, who just wants to spend time alone with his mom and not her crazy friends. I think this book will entertain those who aren’t familiar with Handler’s comedy. It’s that funny. This audiobook was a serious investment of time as it is over 23 hours long. 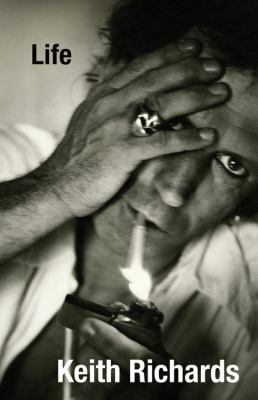 Keith Richards, the legendary Rolling Stones guitarist, has led a fascinating life. He talks candidly about drugs and his struggles with addiction. Richards discusses his stormy relationship with Anita Pallenberg, who had previously dated his bandmate Brian Jones. Rolling Stones diehards will appreciate the parts about Richards’s complex relationship with Mick Jagger. This is not a boring book. Johnny Depp narrates several parts of the audiobook, and Joe Hurley, who has the most entertaining British accent, narrates the rest. Richards himself can be heard toward the end of the book. 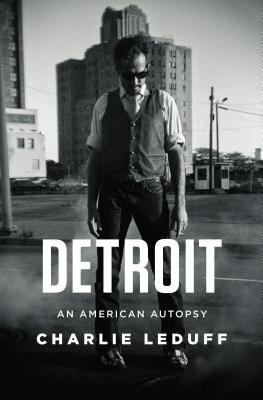 Charlie LeDuff, a journalist raised in Detroit who returned to the city as an adult, outlines the factors contributing to Detroit’s downfall in this book, which is darker than the others I list here. Eric Martin narrated the audiobook and his voice reminds me of a noir film character. The most poignant tales are from Detroit’s firefighters, who battle fires in a city that is referred to as “the arson capital of the world” with subpar gear, with whom LeDuff built a relationship. Those familiar with LeDuff’s work will know that he covered New York City firefighters and first responders in the days after 9/11 for the New York Times, and it’s clear that he has great respect for them. For my next audiobook download, I may try fiction or something that is more upbeat. Do you have any good audiobook recommendations? 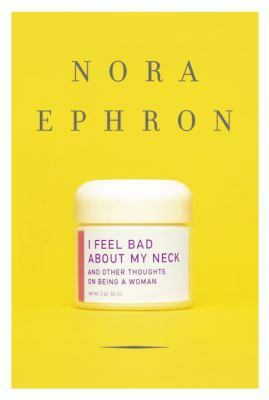 Just a comment: for those of us in the target audience, “I Feel Bad About My Neck,” is a wonderful book and, since it was the last collection published by Ms. Ephron, it is very meaningful to those of us who came up together. This was not the very best of her collections. I felt that the title essay was the best in the collection, along with one about what women carry in their purses. Still I would not have missed it for the world. For those of us who were fans, I highly recommend, “The Most of Nora Ephron,” which compiles all of her works including the “When Harry Met Sally” screenplay and her breakthrough book, “Heartburn,” a roman d’ clef about the dissolution of her marriage to Carl Bernstein. I would also suggest Delia Ephron’s, “Sister, Mother, Husband, Dog,” which might as well be subtitled, “Life without Nora.” The difference in the two sisters’ writing is that Nora was crisper, more brittle and sarcastic; Delia is more emotionally available and the book is a touching tribute.